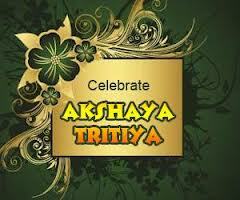 Today 13 May is all hindu people celebrate akshya trutiya.Akshya tritiya is known as akhatrij. 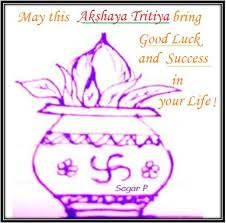 Akhatrij, or Akha Teej, is the named used to refer Akshaya Tritiya North India and in some regions in western parts of India. Akhatrij 2013 date is May 13. 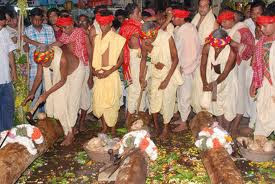 Akha Teej falls on the third day during the Shukla Paksha or waxing phase of moon in Vaishakh month (April – May). Astrologically, the day is auspicious because the sun and moon are believed, astrologically, to be at their best position and shower brilliance on earth. 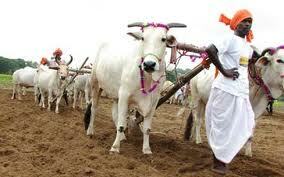 As per Hindu astrology and almanac, each second on the Akhatrij day is auspicious. It is said that there is no need to look for a ‘muhurat’ on the day. 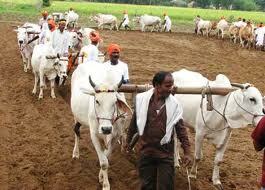 As it is one of the most auspicious dates marriages and beginning of new ventures are done on the day. The day is also ideal for investing and for purchasing valuables like gold and diamond. 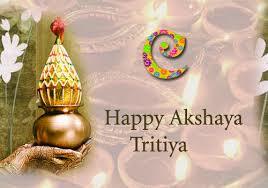 Akha Teej is also the birthday of Lord Parashuram, the 6th incarnation of Vishnu. 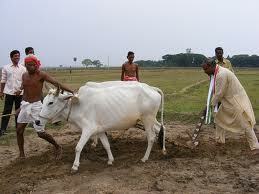 Another popular belief is that the Treta Yuga began on the day. 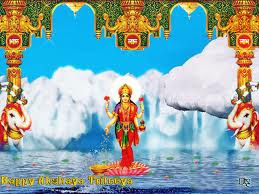 Lord Vishnu, Maha Lakshmi puja and Kuber Laxmi pooja are performed on the day. Alms giving, donating food and clothes on the day is believed to bring eternal glory. 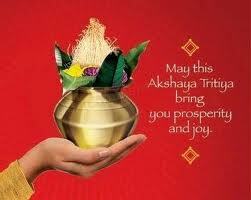 will bring prosperity, luck and success. So purchase gold of your wish.